Every day that I sit down to write, I find myself swept up in the magic. The sheer act of writing is magic in itself; the same energy that flows through me when I read tarot cards or weave a spell also takes over when I conjure a story. And every word that I write, every character I meet, every story I tell, I know that the magic belongs. I am meant to write paranormal and fantasy fiction. Whether it’s faeries or ghosts, urban or earthy, I know that the magic that weaves itself into my stories is a part of me. It belongs in my life and in the lives of my characters. I’ve always believe in possibilities. As a child, I was fascinated by witches and wizards, ghosts and goblins, wee folk and nature spirits. Nature hummed with more songs than the birds could tell, more energy than a swollen spring creek could carry. That was the first magic I ever knew. Soon, that magic would find its way to my stories—whether they were the stories of warrior princesses, lost unicorns, or witches who’d newly discovered their powers. In my childhood, everything from a dusty book or painting found in the attic to the spiritual energy of the forest to an old abandoned building in the city seemed full of potential stories. And that hasn’t changed. Stories continue to pop out of the woodwork. And every time, magic plays a role. As a kid, I was fascinated by witches. Not the Wicked Witch of the West cackling kind, but the wise woman, oracle in the woods sort of witches—wise women who heard the earth, who lived close to nature and listened to its sorrows and songs, who understood the ways of plants, animals, and stars. In college, I found my way to a nature-based spiritual path and realized that my fascination with those cottage-dwelling wise women wasn’t solely reserved for my fiction. Understanding the sacred symbolism of plants, trees, crystals, and animals can be a part of our everyday lives. Today, I surround myself with items that bring to mind the beauty of nature and of spirit and the potential of magic in our lives. My stories don’t necessarily reflect my own magical practice. My characters can read thoughts, teleport, or have visions of the past or future. Their magic is part of the story, of the worlds I’ve created and discovered in my fiction. I have several friends who write magical realism and incorporate subtle elements of the fantastic into their characters’ stories without entering realms that echo the medieval-esque fantasy of Tolkien, Le Guin, or World of Warcraft, or the urban/paranormal bent of Kelley Armstrong or Yasmine Galenorn. In each story I write, every word is wrapped up in magic. The fairy tales and folk tales I soaked up in my youth infuse my fiction. The magic of my real life inspires and is inspired by the magic of my worlds. The curtains dance madly, thrashing in the wind. Outside the window, rain pours and storm howls. A wild witch with knowledge of stars and shadows awaits us, stirring her cauldron, ready to share secrets and inspiration if only we’re willing to drink her dark brew. 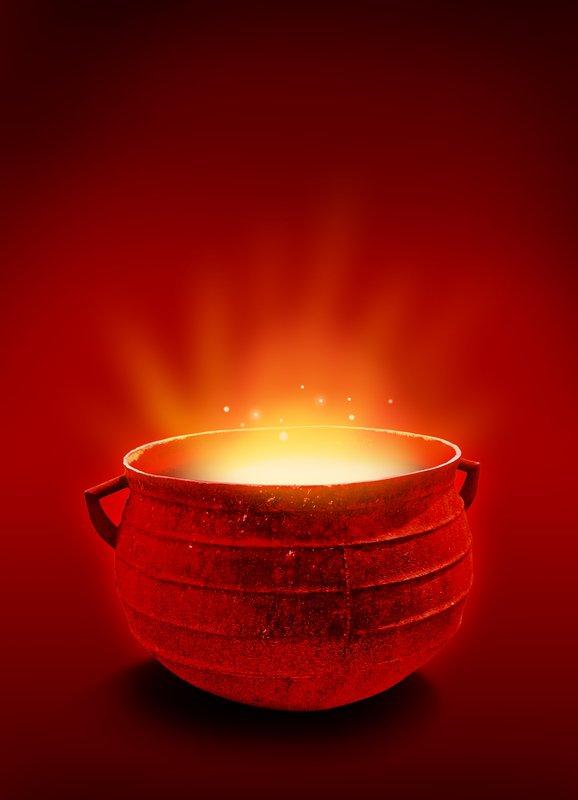 Like the brew of Cerridwen’s cauldron, each drop is pure, undiluted poetry, the gift of the bard. Writers venture into the stormy night on a quest for stories. Every story, paranormal or not, hums with Cerridwen’s magic. If you write about magic, what inspires you? Why do you write about the paranormal or the fantastic? Upcoming contest: I’m celebrating the magic of the fall season with my upcoming “Autumn Reads” contest. Join me on my WordPress blog starting on Friday, Sept. 23, to kick off the season and enter the contest for a chance to win a $10 Amazon gift card. There should be an unsubscribe link in the emails. If you click that, it should remove you. Sorry for the confusion! Thanks for finally talking about >Magic and the word: Why I write paranormal and fantasy | Denise D.